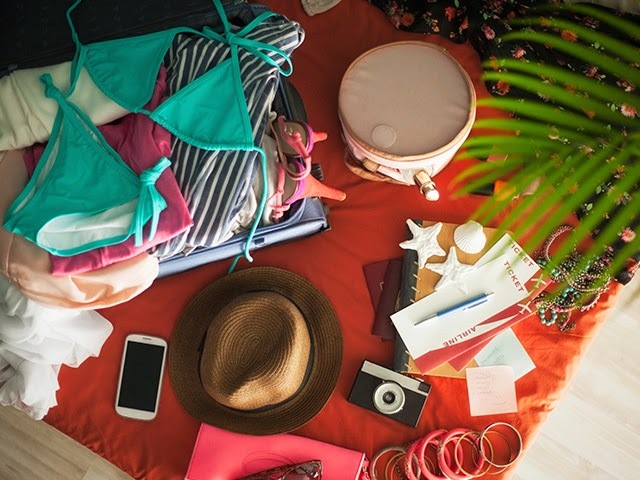 Previously, I have given you guys an insight on how to pack your backpack for travelling and how to pack for a short travel trip, but with my Barcelona hen party getting closer, I thought it would be handy to write up a post on how to pack (lightly) for a city break. If any of you have checked our my travel style board on Pinterest, then you will know how much of a fan I am on the 'how to' images for packing lightly. I use these as inspiration to make a list or outfit board, so that I can pack to my best.